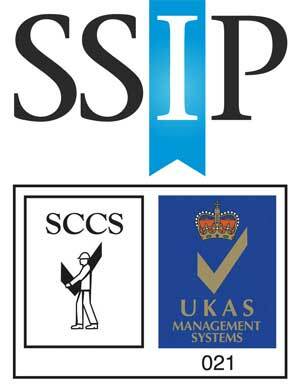 The Steel Construction Certification Scheme (SCCS) has become one of the first certification bodies to achieve SSIP Accreditation (Safety Schemes In Procurement) following a recent UKAS assessment. SSIP aims to streamline prequalification by driving unnecessary cost and confusion out of supplier health and safety assessment. Its core philosophy is to enable effective cross-recognition between existing schemes. The SSIP Core Criteria for assessments is aligned to the Government-backed construction prequalification document PAS 91, ensuring consistency within supply chain management. Suppliers registered with a SSIP Member Scheme are listed on the SSIP web portal, which provides an easy way of finding out if a supplier holds valid certification with an SSIP member scheme and confirms compliance with the SSIP Core Criteria and UK Health & Safety legislation. “This is a significant addition to the service that SCCS offers its clients and further develops our strategic objective of offering a one-stop shop for certification,” said SCCS Director of Certification Stephen Blackman.